The other day I was in a department store and passed by a square mirror for $3. 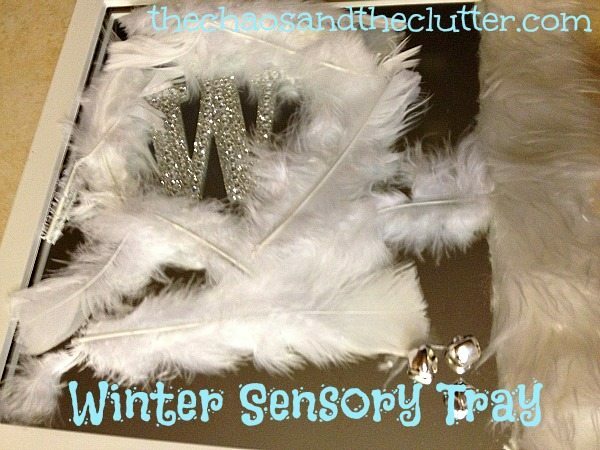 I knew that I could make all kinds of sensory trays and activities with it so I scooped it up! 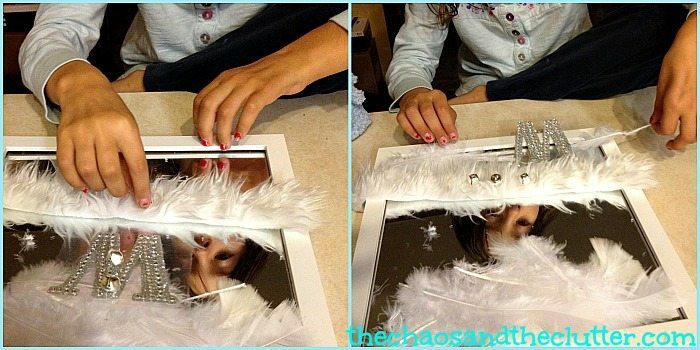 For this winter themed tray, I added white feathers, silver jingle bells, a strip of white faux fur, and a blingy “W” sticker. I left the sticker on its clear backing for the tray and told Miss Optimism that she can craft with it when we are done with the tray. 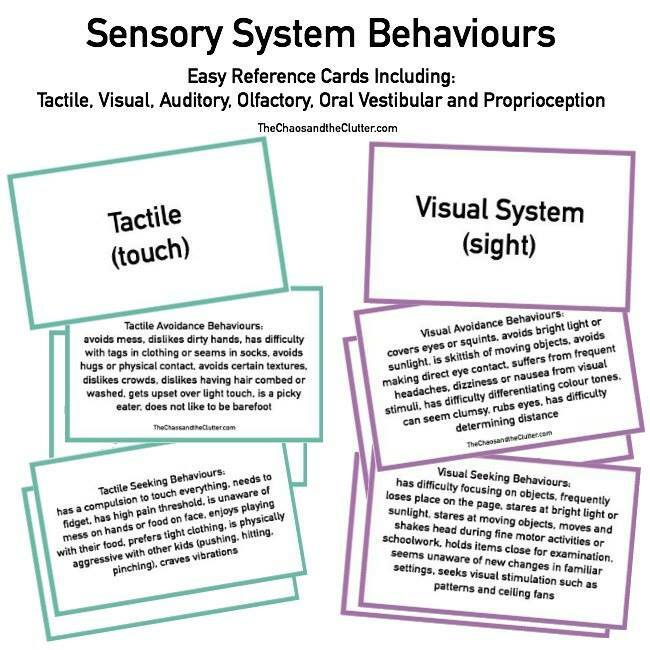 This is a lot less than I usually include in a sensory bin or tray, so I’ve been surprised at how much the kids have enjoyed playing with it and at the scope of their imaginations. They have made the feathers into clouds, the faux fur into a snow hill, the jingle bells into tobogganers! They have threaded the jingle bells onto the feathers, have created patterns with the feathers, have hidden the “W” beneath layers of fluff…they have not tired of this activity yet. I’m both excited and sad that it is time to bring out the winter themes. We got our first snow of the year on Sunday and though some has already melted and it is supposed to warm up tomorrow and melt what remains, soon, there will be a snow that stays until Spring. 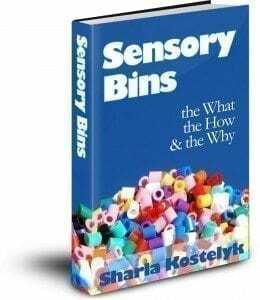 If you are looking for more sensory ideas or information, you may be interested in my book and by following my Sensory Bins board on Pinterest. This looks like a alot of fun!